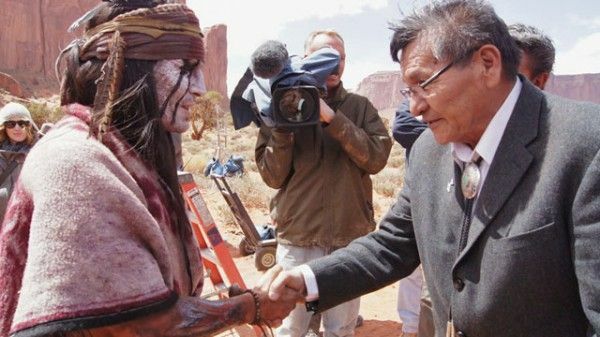 Just the other day, we brought you a new look at Johnny Depp in makeup character as Tonto in director Gore Verbinski’s The Lone Ranger by way of a picture Depp took with Dr. Gayle Dine’Chacon, Surgeon General of the Navajo Nation. 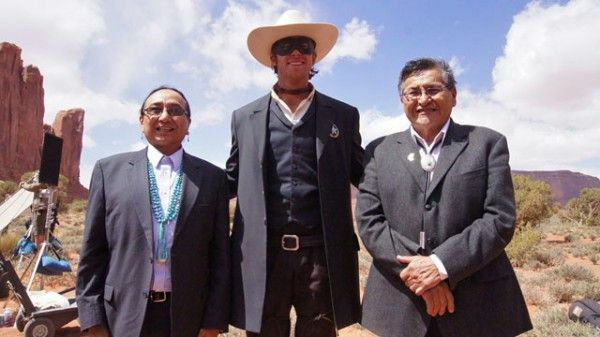 Now some more images have surfaced of Depp and Armie Hammer meeting with other leaders of the Navajo Nation on set. Depp previously stated his intention to “take some of the ugliness thrown on the Native Americans, not only in The Lone Ranger, but the way Indians were treated throughout the history of cinema, and turn it on its head,” and the production is now being filmed on the Navajo Nation with their full support. 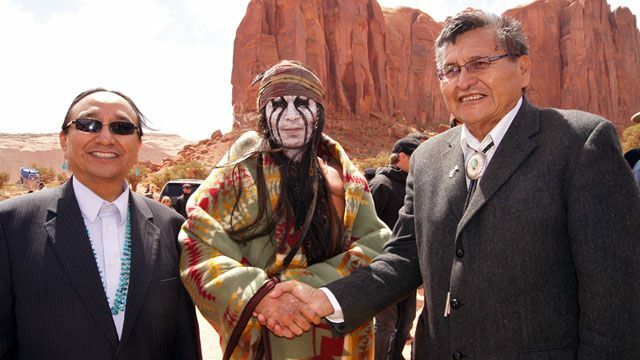 Depp, Hammer and Co. hosted a meet-and-greet with Navajo leaders, which gives us these new looks at the two in character. Hit the jump to check out the images. The film also stars Tom Wilkinson, William Fichtner, Barry Pepper, James Badge Dale, Ruth Wilson, and Helena Bonham Carter. The Lone Ranger opens May 31, 2013.